It’s the kitchen appliance that changed the grilling game forever. 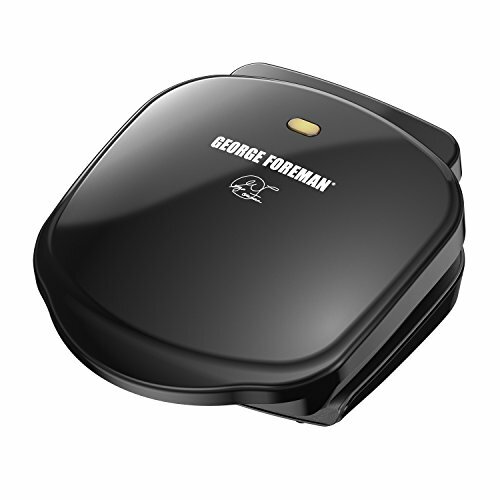 The George Foreman 2-Serving Classic Plate Grill and Panini Press delivers fast grilling and delicious results for steak, burgers, chicken, veggies, and more. The proprietary sloped surface helps remove fat during cooking, and the George Tough nonstick coating wipes clean after every use. The compact grill’s dual contact heating speeds up grilling to get food on the table in record time. What will you make on your George Foreman Grill? Drip Tray - The dishwasher-safe drip tray collects excess fat and grease so you don't have to, How nice is that?